Billie Lourd says she’ll be back in a bigger capacity for Star Wars: Episode VIII. A Thor supporting character may not return for Ragnarok. . Plus new details for Scream Queens’ next season, set pictures from Wonder Woman, and a ton of clips from tonight’s Supergirl. Spoilers now! Not yet, but they’re in development. And we’ve got writers, and we’re working on both those stories. But nothing that would be an exciting update. 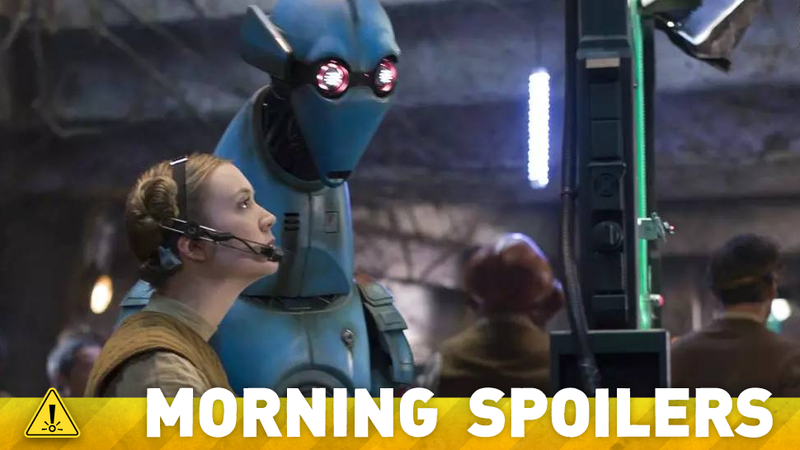 Billie Lourd has confirmed that she will reprise her role as Resistance Comms Lieutenant Kaydel Ko Connix—telling /Film that her role next time will be larger than her single-line cameo in The Force Awakens. I think there’s something unique in the fact that her powers come from the same thing that powers him, and that is how we’ve made them have that kind of… that specifically in common, as opposed to it being something else that the comics kind of created, which has been pure romance. But they do have something uniquely special because of that. I am not 100% sure at this moment. I know that they’re changing things with the script and that sort of thing, so I am literally in limbo. I know probably less than you do about it. I would love to do it, but whether or not it’s going to work on my short hiatus from ‘Blindspot,’ I’m not sure. There could be a lot of factors when it comes to that decision. It still takes place in the same world. I think the Danny Rand character himself will have a different perspective on the world than some of the characters that you’re seeing now—as will Luke Cage. I mean you guys haven’t seen that show yet, either. Our goal is to provide four different shows that each have their own feel while, again, feeling like they are a part of a whole. Not an easy task, but I can tell you that our team is really fantastic at doing this. It’s still the early stages of Iron Fist so I’m a little hesitant to say too much more than that. But Danny Rand is a completely different character and the world that he comes from, how he obtained his powers and his skills—all completely different. I think fans will be pleased. Hive does some sinister things to a captured Inhuman in a new clip from “The Inside Man”.